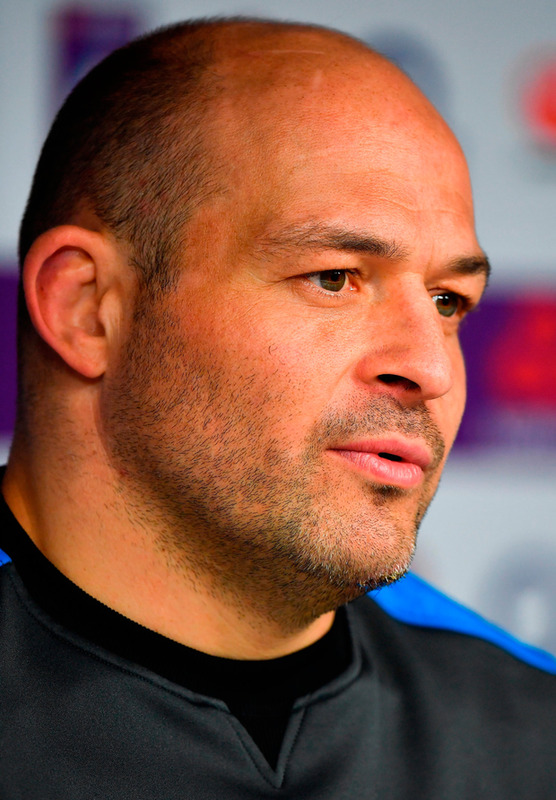 Rory Best has been inundated with messages from his 2009 colleagues, wishing him well as he and Rob Kearney look to double up on Grand Slam glory. Yet it is the new generation who are occupying the Ulster veteran's mind as he approaches his 111th cap. Regardless of the result, the 35-year-old will lift his first piece of silverware at Twickenham today, nine years after he was on the podium celebrating as Brian O'Driscoll hoisted the Six Nations trophy aloft and again when Paul O'Connell did the honours in '14 and '15. This time it's different and Best can feel the waves of goodwill coming across the Irish Sea. "We've been getting a few texts and a few bits and pieces. You know how big the game is when somebody like Denis Leamy picks the phone up and tries to put some kind of text together. It's borderline English," he said with a smile. Magnitude "But when you get bits and pieces like that and you get guys that you played with, that maybe you haven't seen or spoken with in a long time - I think everyone knows the magnitude of the game anyway - but it's good that these guys are willing you on. "They're not sitting behind their record going, 'Oh we want to be the last team'. You can really feel the support from them wanting us to get across the line." The Poyntzpass man is the elder statesman in this team but he has few fears about the coterie of youngsters who have yet to taste defeat in a green jersey ahead of the biggest game of their careers. "It is about making sure that they realise how tough it is to get into these positions and that they then realise what it's going to take to take that next step," he said. "Maybe don't labour the point and put too much pressure on but it is really, really important that they realise that it isn't going to take just an ordinary performance tomorrow, that England are not just going to hand us a victory. They're far too good a team and they have far too good a record here to suggest that that will happen. So we have got to go out and make sure that we create opportunities and take as many as we can. "That is the balance, make sure that the younger players, maybe not even, the older players, everyone needs to realise that because these don't come around very often there will be limited opportunities. This group of young players are fantastic players and they're already so experienced." At the helm is Joe Schmidt who boasts an excellent record in finals from his Leinster days, as Best and his Ulster team-mates know to their cost. "He's not really that much different, maybe just slightly madder which is hard to believe," Best said of his coach in the week of a big game. "He knows the importance of getting that balance right, he doesn't want to project his anxiety on to us, he knows we're nervous enough anyway. "He's been, by and large, very similar, and just it's about making sure that he's steering us the right way and he does that. "He just has a knack of doing things, as always we'll have full confidence in his game-plan and we'll concentrate on trying to implement it as best we can because we know how good a coach he is, we know what he expects and he's made us fully aware of England."